Weight Watchers: 15-Minute Boot Camp Series Just $9.90! You are here: Home / Great Deals / Amazon Deals / Weight Watchers: 15-Minute Boot Camp Series Just $9.90! Head over to Amazon and get Weight Watchers: 15-Minute Boot Camp Series Just $9.90 (reg. $14.98). Shipping will be FREE with Amazon Prime or an order of $49 or more. Get More Fit 15 Minutes At A Time! You don’t have to spend hours and hours at the gym to get in better shape. 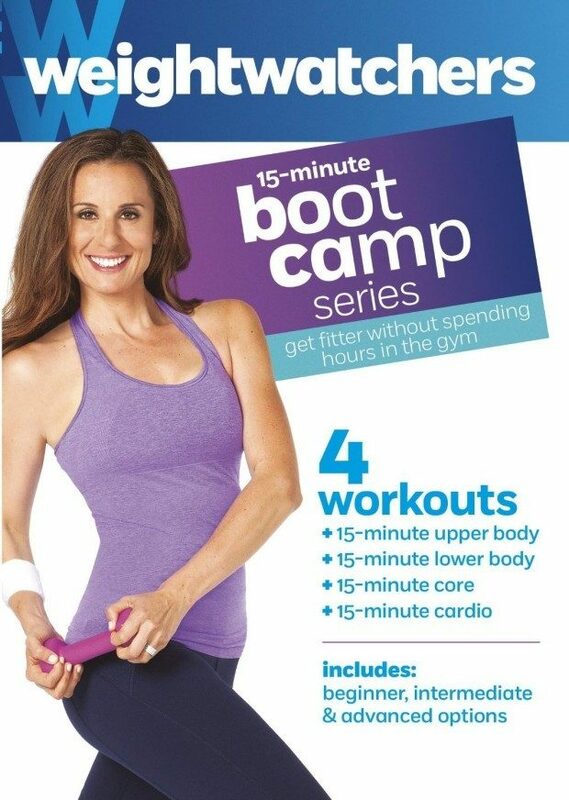 15-Minute Boot Camp will strengthen your body as well as provide aerobic conditioning and help to improve your balance. With workouts that focus on the Upper Body, Lower Body, Core and Cardio, this is a program that is finely tuned to fit into your day!